Sound quality should always be your first concern, whatever you record, wherever you’re doing it.Field recording, studio or live session, vocal ideas and notes… Everything. Since smartphones, tablets and mobile computers allow us to record everywhere at any time, we need a good microphone in order to expect proper results. Shure has a long time reputation for quality. Their new digital microphones series “Motiv” are no different and should satisfy the needs of the most exigeant users. Four different models adapted to four different situations and one audio interface, the whole thing coming along a free but extremely well designed application to work straight and correctly. Life’s magical moments aren’t just about the view. Document and share them with the MV88 and the ShurePlus™ MOTIV app. Because great sound matters. With its vintage design, the MV51 offers the thrill of connecting with music history while effortlessly capturing digital audio. The MVL delivers great sound, hands-free. Simply clip it to clothes and plug it into your device. Recording long-form speech, from lectures to sermons, has never been easier. A pocket-size recording studio, the MVi works with your favorite microphones. 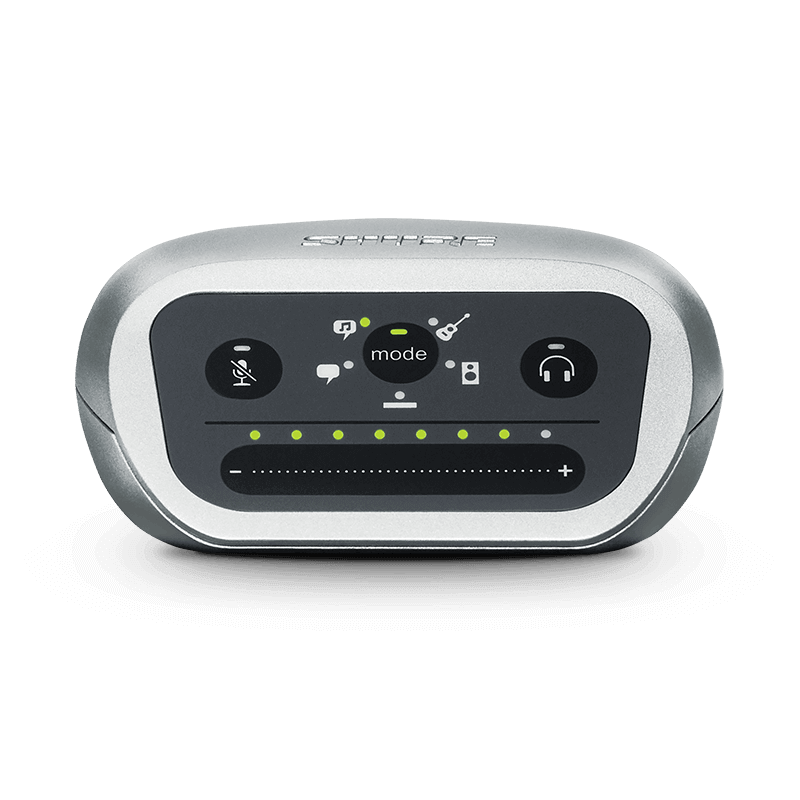 Simply plug into the XLR or ¼” inputs, then make adjustments with the intuitive touch panel. 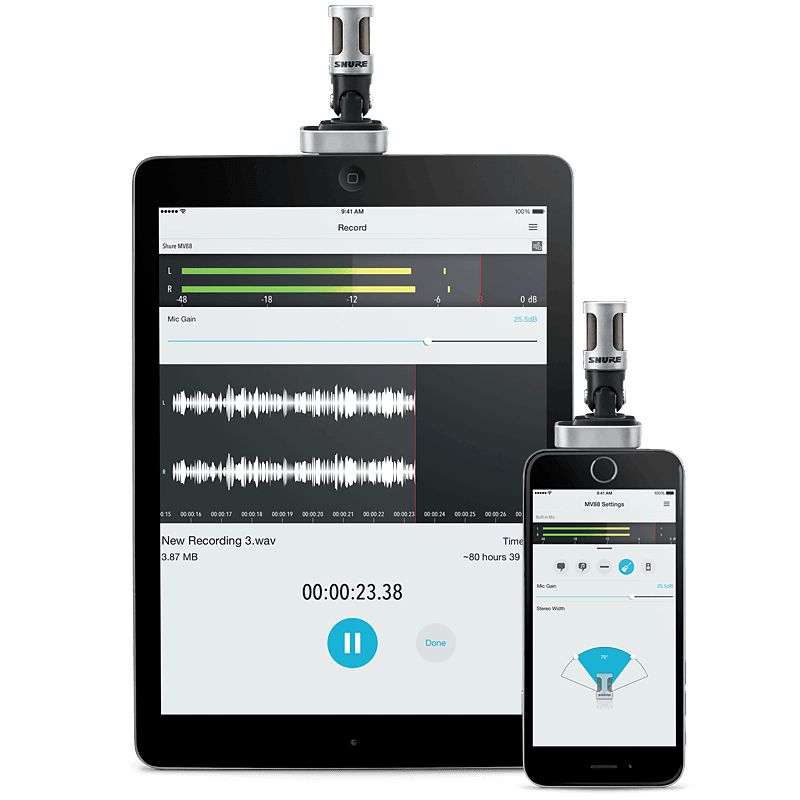 Designed for use with all MOTIV products, the free MOTIV iOS app is loaded with smart, intuitive features for high-quality digital recording and sharing via text, email, iTunes, AirDrop, and Dropbox. Use the app to make real-time adjustments to MOTIV hardware that optimize settings for the sound source and environment. 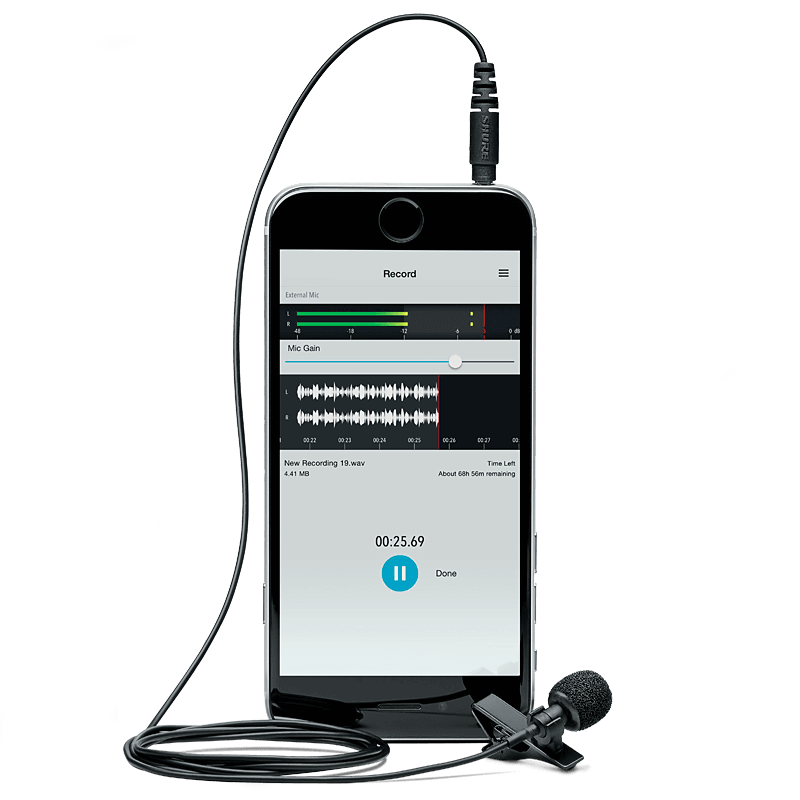 The app is also a convenient and reliable stand-alone tool for high-quality recording.